It was a night filled with colour, as society friends and members of the ophthalmologic industry banded together for the eight edition of the annual Eye Ball, to help raise funds for VisionSave—a joint effort by the Singapore National Eye Centre (SNEC) and the Singapore Eye Research Institute (SERI) that seeks to raise awareness of eye health and to explore new ways to treat eye diseases that afflict the community. Aptly themed “Eye Candy”, the ballroom was well decorated with life-sized balloon candy sculptures with many guests playing up their ensembles in eye-catching sequined get-ups and pastel coloured confections. 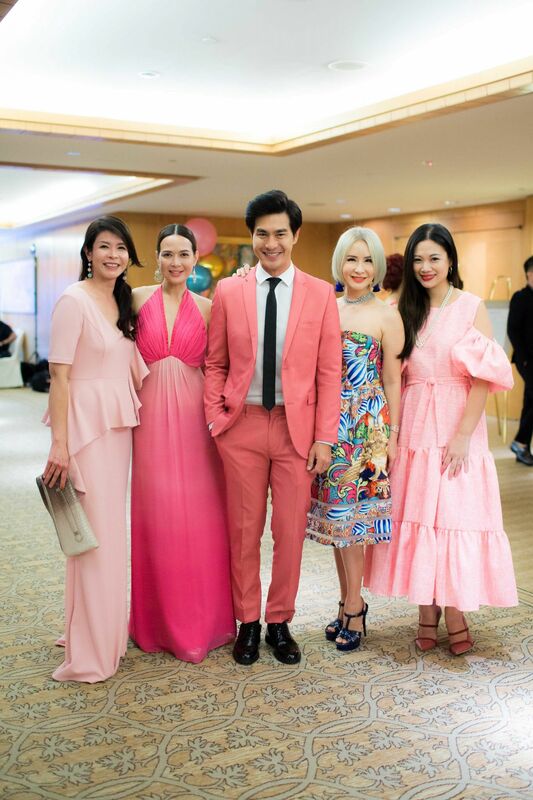 This year’s ball promised two Best Dressed awards selected by Singapore Tatler with the top honors going to society doyenne Grace Yeh and Crazy Rich Asians actor and VisionSave ambassador Pierre Png for their visually striking outfits.